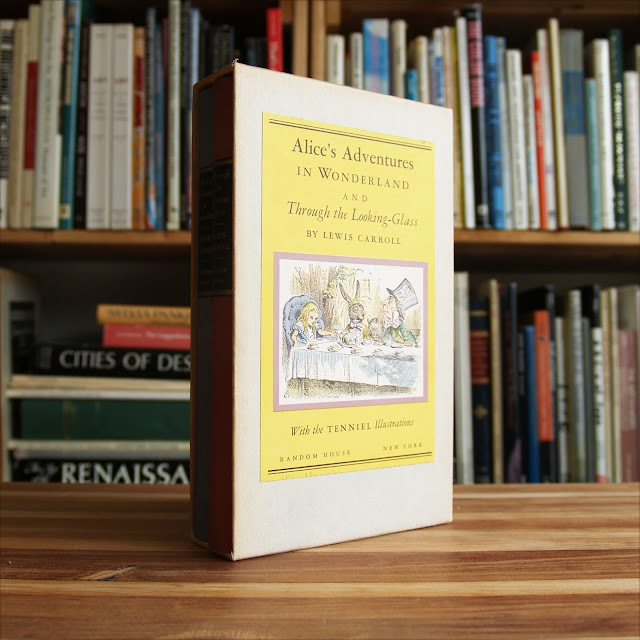 This boxed set of Alice in Wonderland books comes in a gray slipcover with paste-down color plate. 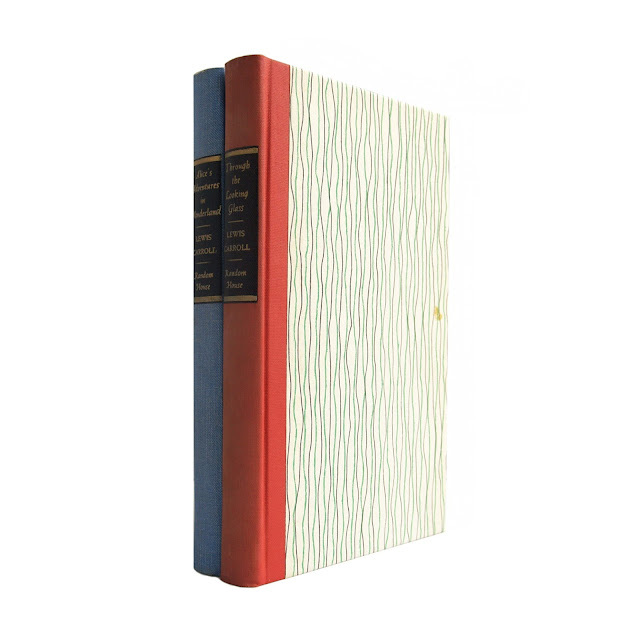 Books have red and blue cloth spines with gilt lettering and are bound in striped boards. 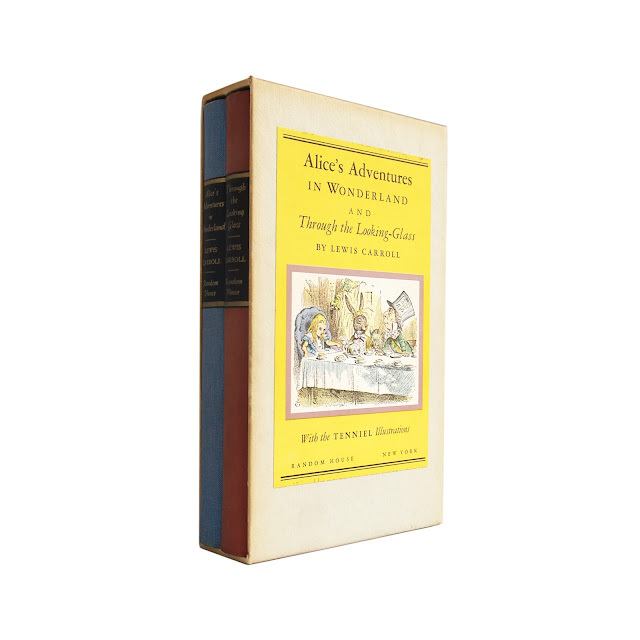 Each volume is illustrated throughout with Tenniel's classic images. 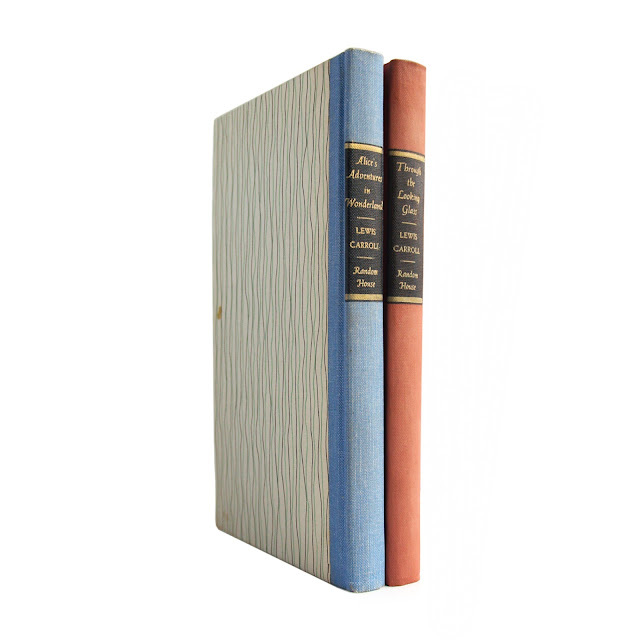 Books are exceptionally clean and crisp; small mark on front cover and bottom edge of "Through The Looking Glass," similar mark on rear cover of "Alice," some very light fading to spines, otherwise unmarked and bright. 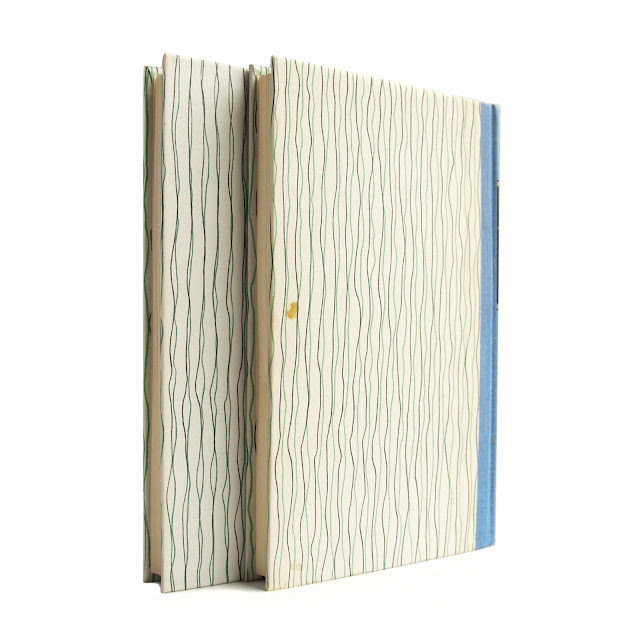 Slipcase is crisp and solid, no weakening. Light soil. Each approx. 150 pages; 5"x8".